Hi everyone! It's Candace from Candi O. Designs and it's my day over at Jaded Blossom and I am sharing a cute tag I made using the new Scallop and Stitched Square Dies. Love these new dies and how versatile they are!!! One of my bosses loves Mars Bars and I always get him a pack when I go home to Canada to visit. The coworkers stamp set made it easy for me to add a unique tag to the front of these candy bars!! With the new Minion Movie coming out Friday and it's all about finding a "Boss" I thought adding one of the Minions to this tag was just the perfect touch!! OMG! Your tag is so cool! 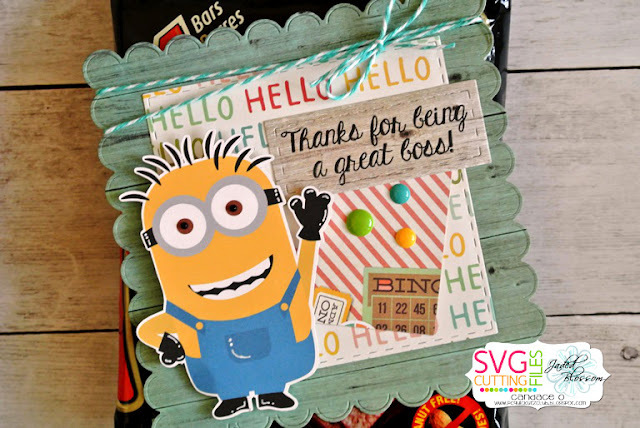 Your boss is going to love it! How cute! 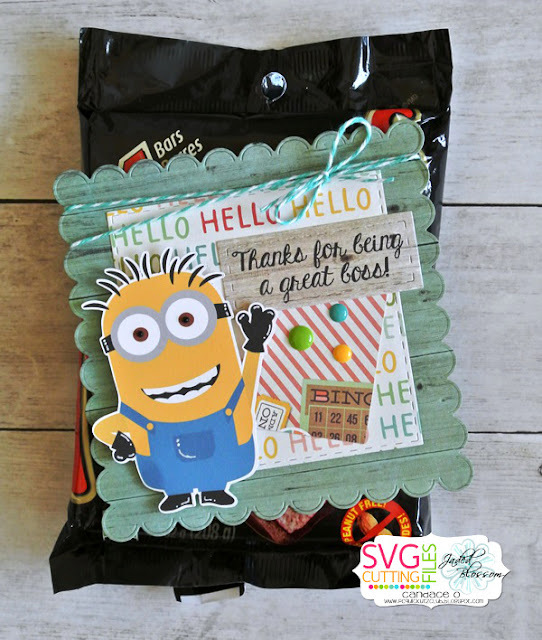 Minions are always a hit and great timing with the movie coming out! Can't wait to see it lol. I simply love the tiny little border on this scalloped die. It really adds a nice touch. The sentiment placement is perfect and the enamel dots are just what you needed to complete this super "sweet" gift! Great job! Too darn cute!!! LOVE Minions!!! This is too stinkin CUTE! LOVE it! !